The Aquaclimate Project is a three-year initiative to strengthen adaptive capacities of rural farming communities to the impacts of climate change. This report highlights policy implications, research agenda and on-farm adaptations that will be required to sustain the industry and its contribution to the livelihoods of farmers and food security. 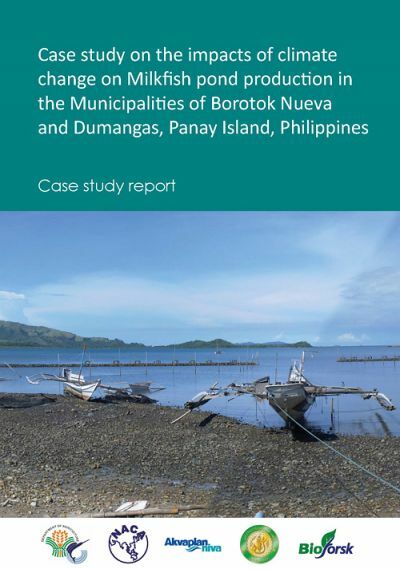 In the Philippines, the project has focused on studying the impacts of climate change on milkfish brackishwater fishpond farmers in the towns of Barotac Nuevo and Dumangas situated in the province of Iloilo. Milkfish (Chanos chanos) is an important food fish in the Philippines. It is mostly grown in pens and cages, but the bulk of production comes from brackishwater fishponds. In 2011, production reached 225,000 tons (Bureau of Agricultural Statistics). The province of Iloilo is one of the top milkfish- producing provinces in the country, with production reaching 24,744 tons. The towns of Barotac Nuevo and Dumangas, in particular, have extensive fishpond areas leased from the government (FLAs) dedicated to milkfish farming, which make them suitable sites for the study. The perceptions, attitudes and adaptation strategies of milkfish farmers from these sites were mapped out using several tools. Focus group discussions were held over several sessions to (1) map farmer perceptions about climate change and likely impacts; (2) assess vulnerability of the production system; (3) estimate the economic losses for the farmers; (4) map adaptation measures that farmers/ communities respond with, when exposed to extreme climate events; and (5) map the agencies involved with aquaculture planning and management and their involvement. During the workshops, the stakeholder-participants were able to determine the fish farmers’ perception of climate change; come up with crop and seasonal calendars; risk assessment; and adaptation measures/recommendations. Stakeholder workshops were also conducted to identify vulnerability indicators and to develop adaptation measures to future predicted climate change. Mapping and analysis were further held to identify the importance and influence of key stakeholders and institutions. Fish farmers from the two towns who operate in government-leased fishponds were surveyed using a questionnaire to determine socio-economic profile, production data, farm information, farmer perception of climate change, and adaptation measures used. Data derived from these were further evaluated and analysed. The data gathered and analysed during the course of the study were used to come up with briefs aimed specifically at target stakeholders, which include policymakers, scientists and the fish farmers themselves. Outlined in these briefs are recommendations and priority activities that may be used to better prepare them on the effects of climate change. Milkfish farmers are vulnerable to the effects of climate change. It is therefore important that they adapt strategies to lessen their vulnerability. Measures that could be done include sustainable aquaculture practices; diversification of farmers’ income sources; diversification of culture species; coming up with more efficient ways to utilise natural resources to increase productivity; building farmer capacities through access to information and knowledge; and forging partnerships between the public and private sectors. 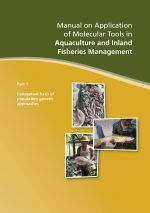 With the current change in climate, it is thus recommended to shift culture practices, from an extensive system relying mostly on wild fry and natural feeding, to a more intensive system where formulated diets are used to grow fish at higher densities.